On March 11, 2016, a class action suit was filed in a Columbus, Ohio federal court against Procter & Gamble, maker of hundreds of household products, including some 13 Old Spice® deodorants named in the complaint). The principal plaintiff, Rodney Colley, a resident of Virginia, alleges that the Old Spice® products caused him severe rashes and chemical burns, and have also done so to a large number of unsuspecting customers. Colley contends that, in spite of earlier complaints, Procter & Gamble has continued to market and sell the products to the public. The lawsuit seeks damages in excess of $5 million. Among the lawsuit’s allegations are claims that the Old Spice® products are defective, that many of the persons who have suffered from their use have used other deodorant products without problems. The lawsuit also alleges that the use of a deodorant is not intended to cause burns and discomfort, but that the Old Spice® products do so in large numbers. Colley told one news bureau that he got out of the shower one day and it felt like his armpit was on fire. When he looked in a mirror, he saw the rash and underarm burns. Following the filing of the suit, Procter & Gamble released a statement in which it said the safety of the men who use Old Spice is the foundation of everything it does, and the company goes to great lengths to ensure that its products are safe to use. It goes on to say that tens of millions of men have used the product without incident, and that while a small number of men may experience irritation due to alcohol sensitivity – a common ingredient in many deodorants – the products are safe. Colley, who seeks $25,000 in personal damages, isn’t the only person who has pointed to issues with the Old Spice® products. Numbers of consumers had earlier posted complaints on Facebook®. Several others have even posted videos of their rashes on YouTube®. Class actions, like the one filed by Colley, can provide an efficient mechanism to right an alleged wrong, such as with the P&G products. Each consumer has but a small claim against the large, well-financed consumer products manufacturer. If each consumer had to proceed alone, the risks of litigation, together with the costs, would effectively shut out those who allege that they have been damaged. Joining together in a class action, the costs of litigation can be shared. The issue of liability can be determined and applied across a large number of complaining persons. 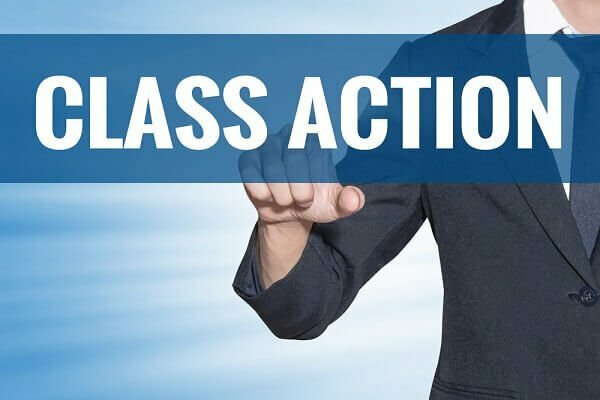 Is your business involved in a dispute that could conceivably affect an entire class of similar businesses or individuals? Is your business threatened with allegations that appear headed for litigation? Are you currently involved in any sort of commercial litigation? Contact the Kerkman Wagner & Dunn, a Milwaukee business litigation firm with more than 50 years of combined legal experience representing business owners in Wisconsin. Our firm has big firm talent and provides small firm attention. Call us at 414-278-7000 or complete our online contact form.